My amazing midwife even said "Beautiful! Now that is how you birth!" 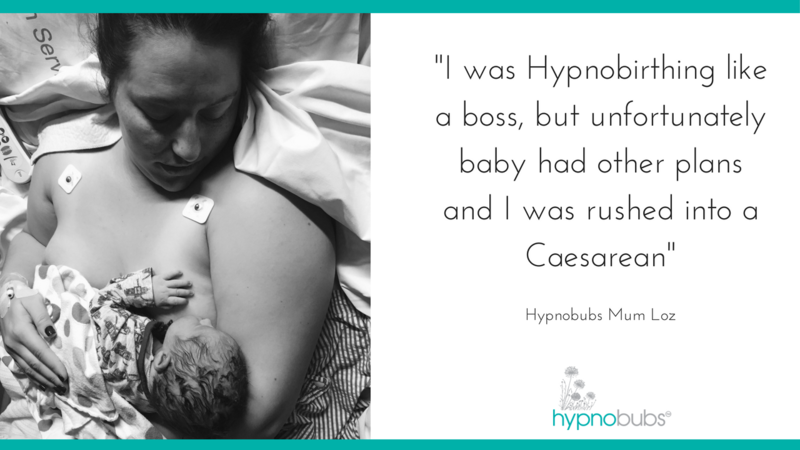 I had my first little hypnobub (third baby) on the 30th of August!! My entire birth was amazing and the first time I went into spontaneous labour too! During labour, I used the breathing techniques, flopping/staying relaxed during surges and kept my positive affirmations going to keep focused. I had a little gas during transition but that was it. Bub was born in the water like my first two births but this one was so much less intense and I actually wanted to do it all over again as soon as he was born!!!! I also felt amazing after delivery. 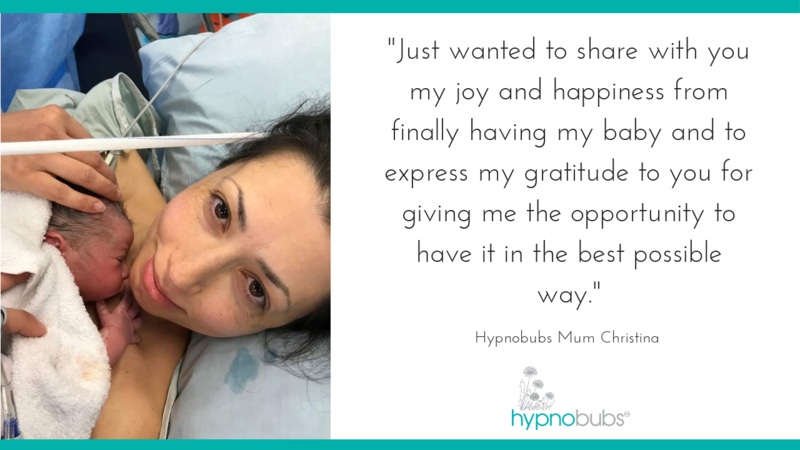 I had little discomfort and didn't need any pain relief which I again put down to feeling so relaxed during birthing and not tensing my muscles! Hi all, just wanted to share my positive birth story. 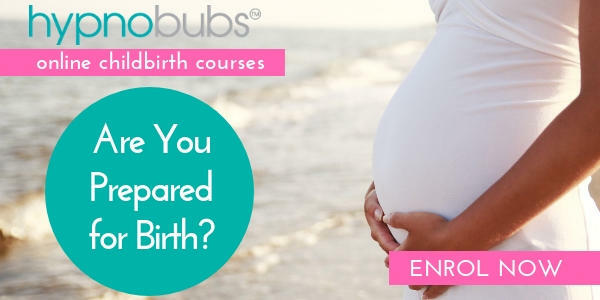 I finished the course and felt really great about my impending birth. At 39.4 weeks I went into labour at 1 am, I was so relaxed about it, I didn’t even wake my husband until about 2 am when I needed a heat pack. We stayed in bed counting surges, whilst I slept in between each one! I managed to stay home until 10 am before heading to the hospital. I feel so healed from the hurt from my first birth! My first daughter was born 3 1/2 years ago. Her birth was very traumatic for me, I suffered 2 seizures after her birth, leaving me with very little memories of her birth. After that, it seemed like it was one thing after another, which led to postpartum depression. Almost 3 years later we were expecting the birth of another baby girl. I was determined not to have the same experience last time and to be able to overcome the fears I had from my previous birth. 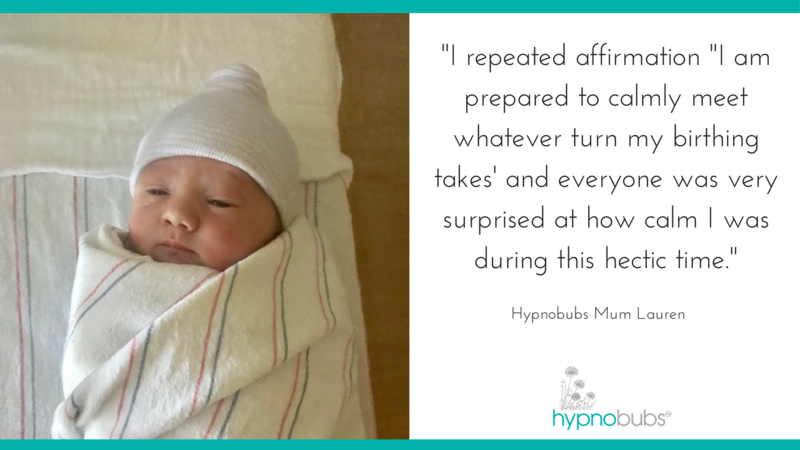 I sought out Hypnobirthing because I knew I needed something that dealt with the mental aspect. The Fear Release track was pretty emotional for me the first time I listened but really helped me in making progress to overcome some of my mental hurdles. The day we had my daughter I had been having some Braxton Hicks and couldn't sleep. I felt a couple pops and lo and behold my water broke. My Emergency Caesarean Birth Story. I wasn’t quite sure how to start this rather long message, or whether I should even send it, but I decided to because I needed to say thank you! 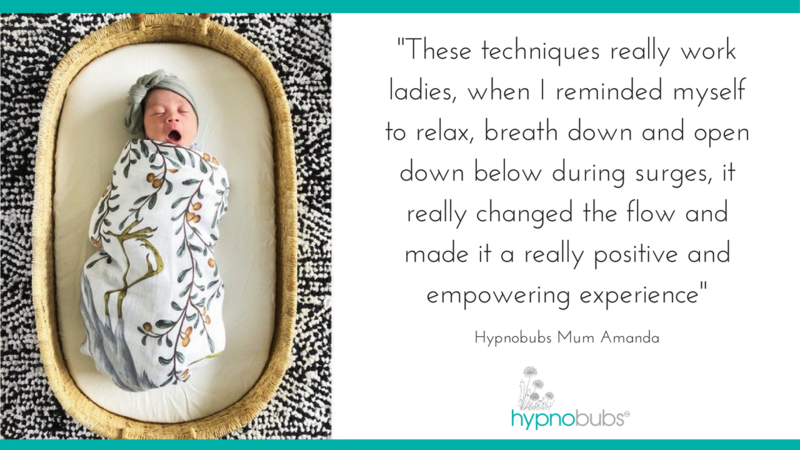 When I fell pregnant again, 4 months after having Ruby, I immediately began my hypnobirthing relaxation and meditation practice again, including a revisit to the online course. 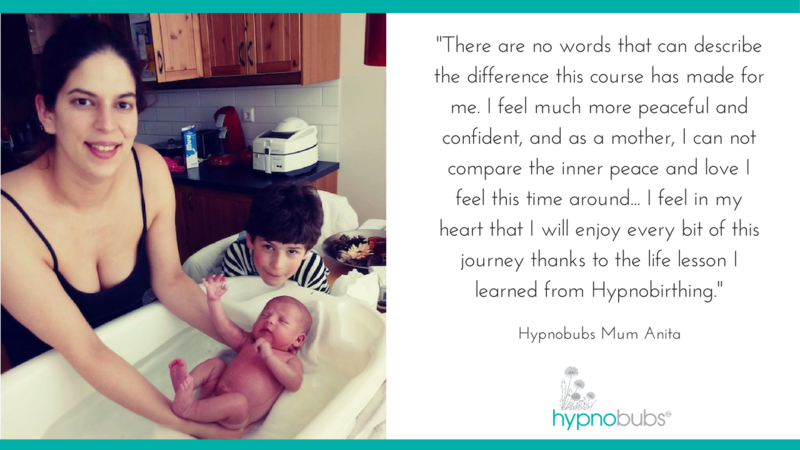 I was determined to have an even more amazing experience hypnobirthing my second baby. I just wanted to thank you as I have learned so much from the online course! I listened to the Affirmations every day and the line that got me through was “I am prepared to calmly meet whatever turn my birthing takes” as my birthing preferences did not go as planned and I ended up needing an emergency c section after arriving at the hospital. During this time I used the breathing techniques you taught us and repeated affirmations and everyone was very surprised at how calm I was during this hectic time. Our little one arrived via c section and is absolutely perfect and I honestly don’t think I would have handled it this well if it hadn’t been for you and your classes. Thank you so much for all you do! 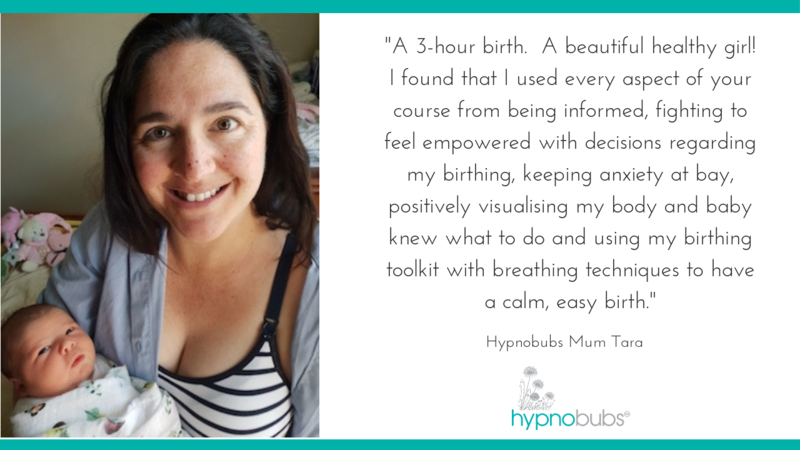 find out more about our Hypnobubs® Hypnobirthing Online Course options for natural birth - click here. No words that can describe the difference this course has made for me! Venho partilhar convosco a minha história.de nascimento e como o hypnobirthing me ajudou nesse dia tao especial. 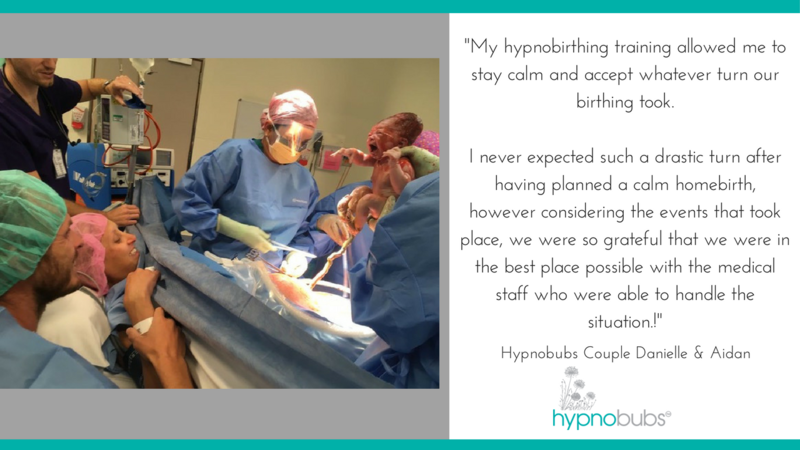 A planned homebirth that turned into a Caesarean birth story. 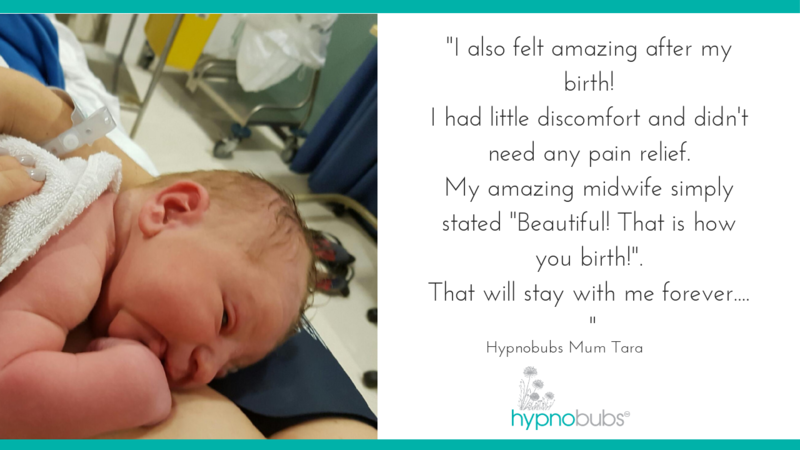 I read so many positive birth stories when pregnant and know how important they are to feel prepared for your own birthing day. I found them very empowering, especially when I read stories that did not go as ‘planned’ but the outcome was still beautiful; like ours.